"Time is old here. Older than the cracked and scorched earth, older than the scraggly bushes and the dusty road that winds through the desert like a sluggish snake on its way toward the horizon wavering in the heat. I no longer recall for how long I’ve been here, but I feel just like that snake – forever on my way toward a destination that’s just out of view. Only when I look up do I see what my heart longs for. The endlessly blue sky. My visions are blue. My eyes are hungry. The cabin is on the edge of what must once have been a lake. When I step outside and stand on the verandah during the hottest time of day, the air is so hot that it turns everything blurry and wavy, filling the lake with something looking like water once more. Even though that mirage can’t quench my thirst for the blue. The clock above the door is broken. Time isn’t just old here – it seems to not pass at all. 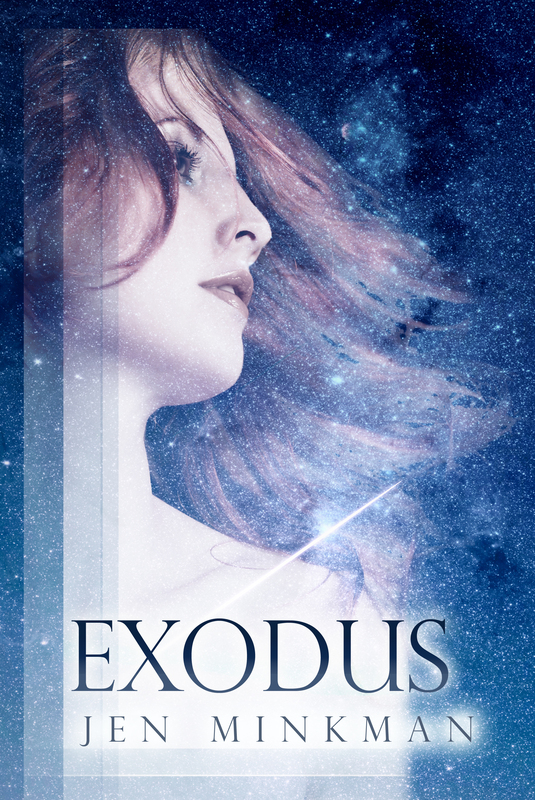 'Exodus' won second place in the Harland Awards (short fiction contest), a prestigious Dutch award for fantasy and sci-fi stories and novels. It is a story about the end of the world, a lonely teenager desperately trying to leave Earth before it's too late, and her search for redemption. The jury called Exodus a story containing 'a deep and beautiful message'.